Raising ten children meant my parents had to be intentional about seeking a balance between meeting the individual needs of each of us kids without appearing to favor any. I’m sure the scales tipped one way or the other periodically, and we didn’t let it go un-complained about. When you’re one of ten, “That’s not fair!” rolls off the tongue quite naturally. But however often one or more of us felt slighted, I’m sure it was never a case of “Mom always liked you best.” Rather, opportunities and circumstances do not present themselves in equal measures as families grow and incomes rise and fall, and different personalities mean that personalized attention is going to look…different. A good parent loves each of her children with an infinite love that may at times seem disparate, but how can one reduce or add to infinity? Yet God’s love for you and me is even more infinite. I know…I just committed a logical fallacy. Don’t comment about it, please. What I mean is, as I wrote a few weeks ago, the most loving and compassionate human being to ever have lived cannot even come close to exhibiting the kind of love and compassion inherent in the nature of the God who created him or her. Which brings me to Jonah, the prodigal son, and disgruntled workers in a vineyard. The account of Jonah in the Old Testament and the parables Jesus told of the prodigal son and the generous vineyard owner share a common theme of resentment over a perceived injustice. Jonah resented God’s mercy on the “evil” people of Nineveh. The self-righteous brother of the prodigal son resented the compassion and extravagance their father showered on the wayward one. And the workers who labored a full day resented receiving the same wages as those who had only toiled an hour. What these passages teach us about God is nothing short of scandalous. As I talked about in this post, the Greek word ‘skandalon,’ from which we get the English word ‘scandalous,’ is translated as both “offensive” and “stumbling block” in the New Testament. 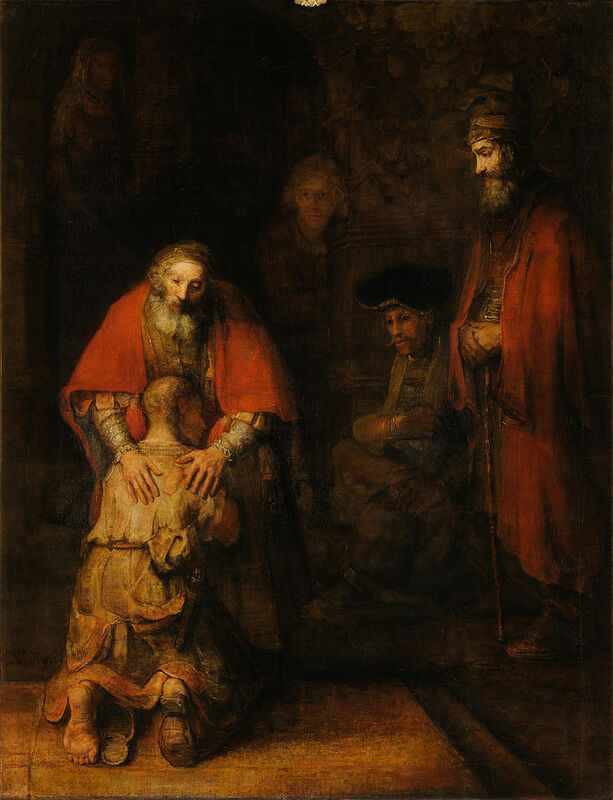 Jonah, the older brother, and the weary workers were offended by the mercy and generosity of God (explicit in Jonah, implicit in the parables) towards the perceived undeserving. That God would tip the scales to extend love and mercy to those who snub him is a stumbling block to the self-righteous. Do I count myself among the stumbling ones? Can I plead poor coordination? I confess that I do have trouble believing that those who spit in God’s face are still greatly loved by him. I mean, I do believe it but…it doesn’t seem fair. And I guess it’s not. Mercy is distinguished by favor undeserved, and true love is unconditional and unearned. I want to love as God loves and be among the merciful who are blessed. My love for him is real and I write this blog in defense of the faith as an expression of that love. My interest in doing Christian apologetics is fueled by a passion to see God acknowledged, believed on, and glorified. But his interest in my doing apologetics, I believe, is fueled by a passion to redeem the lost, on account of his great love for all whom he has made.